One thing we always make sure to do is eat dinner together as a family. I don't think anything is more important to me then to be able to sit down together and least once a day. It gives me the chance to find out how school was, my husband's day at work, and even what is on their mind. It never ceases to amaze me the things children will tell you if you only ask. What are some ways that you steal time with your family? How do you steal those little extra moments in your family's life? Welch’s believes in the magic of “kitchen table” moments, and has been helping families enjoy them for generations. In the time it takes to drink a glass of juice or share a sandwich, a special moment can happen. 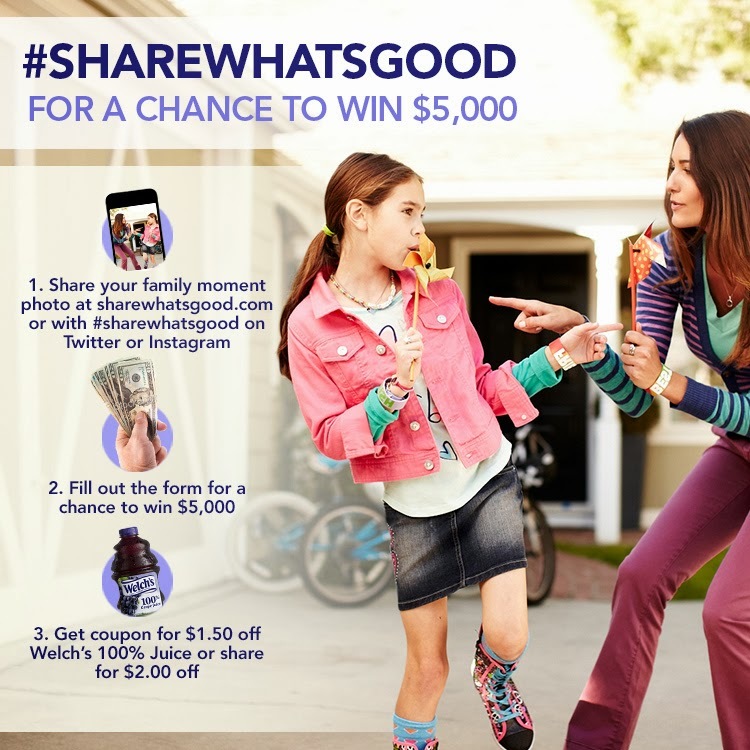 That’s why Welch’s just launched a new movement called “Share what’s good™” . It’s all about sharing those special moments that occur each day with family, friends and loved ones – whether it’s at home or on the go. At Sharewhatsgood.com you’ll find a variety of great content from fun family ideas to delicious recipes. You can share photos of your every-day moments and see how others are doing the same. In fact there is currently a photo contest surrounding this movement. You can also find Welch's on Twitter(@Welchs ) and Instagram(@Welchs ).